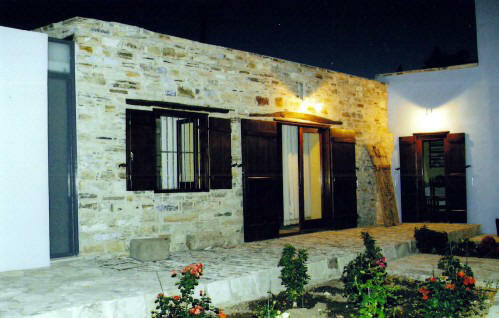 Garden Kamara House - Stone built house in Kato Drys village, Cyprus - Holidays in Agrotourism properties. 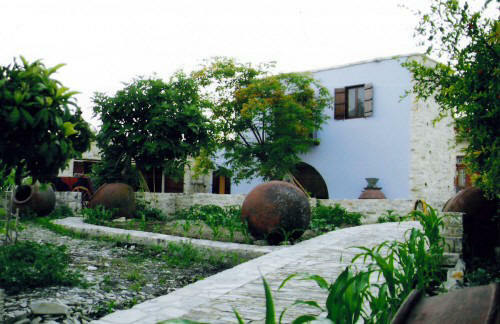 Garden Kamara House, Kato Drys village , Larnaca , Cyprus. 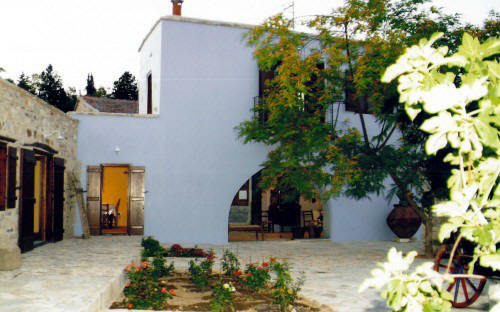 - An Agrotourism House. Kato Drys in the Larnaca district of Cyprus, Garden Kamara House is a traditional two storey stone village house that was built in 1915 in the Cypriot style, with stone and arches in a garden setting, it has lost none of it's character by being restored to its original glory but now, with all mod cons including central heating. 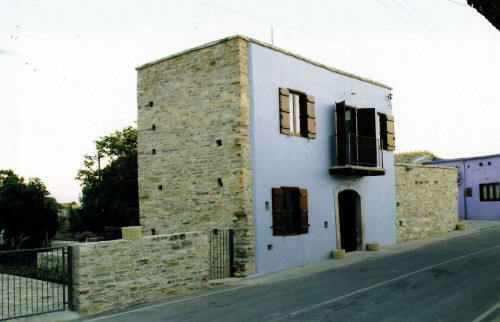 The picturesque village itself was used to grace the one pound note of Cyprus and the house itself can be seen clearly, so no postcards needed, just send home a pound note, Garden Kamara House has two bedrooms. The owners, who are homely and enthusiastic, grow their own grapes, olives and organic vegetables, you will have the opportunity to try the home made wines, olive oil and produce. Not only that but at the times when produce is being preserved in whichever way suits the season, you are welcome to learn about the processes and join in the fun. 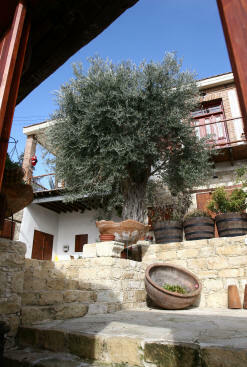 This ia a Holiday home for the discerning who likes to eat home grown organic food, prepared in authentic surroundings! 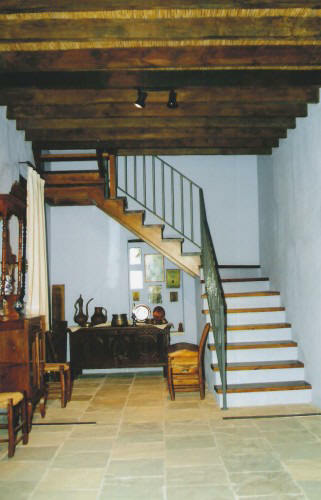 The house consists of two bedrooms, one on the ground floor with en-suite shower and one on the top floor where the bathroom with the bath is located. 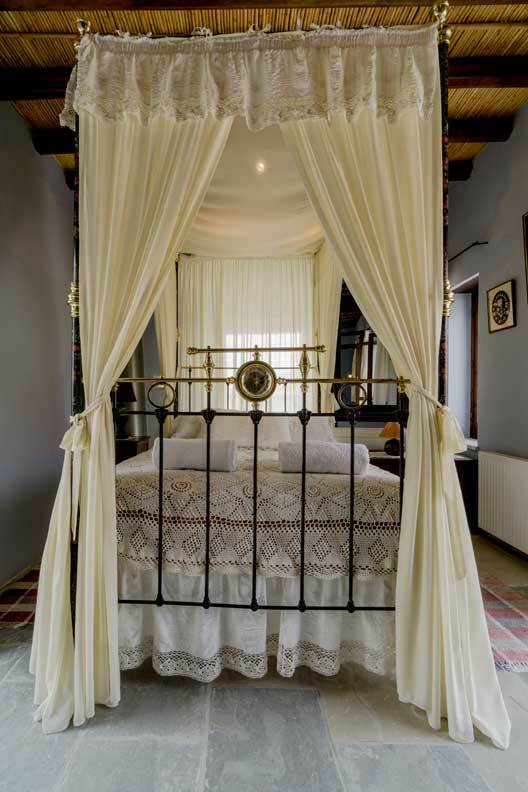 The beds are traditional Cypriot 4 poster beds made of iron and brass. 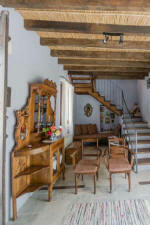 The furniture in this agrotourism property is in keeping with the period. There are 2 balconies on the 1st floor, but please note that due to the low railings on these, it is not a suitable area to leave young children. 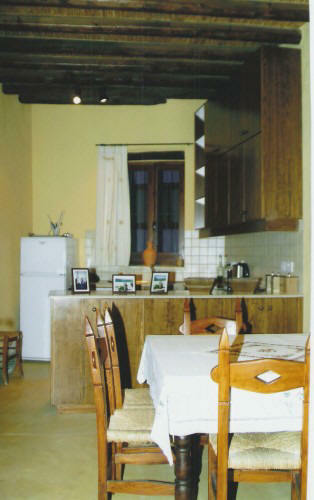 FACILITIES: There is a fitted kitchen with hob, oven, fridge, washing machine and the usual equipment for self catering. 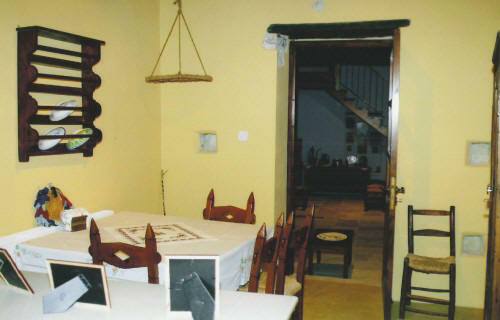 There is a dining area with table and chairs. 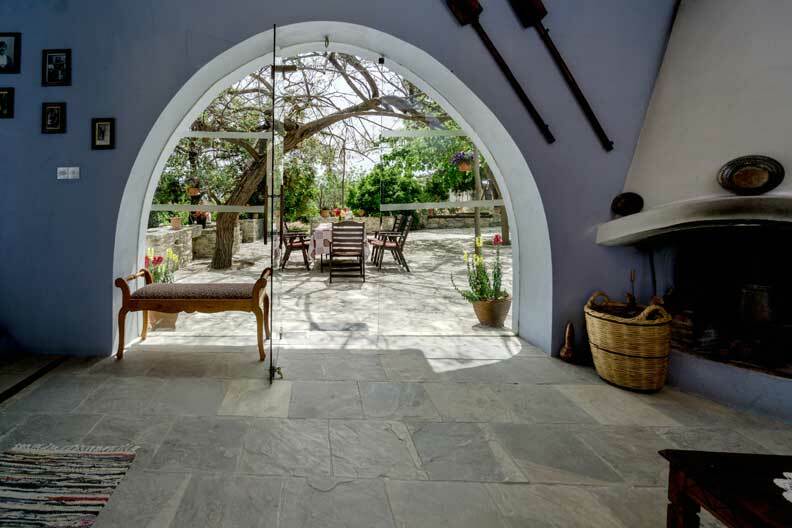 The house has central heating as well as a fire place for those slightly chilly winter evenings, so an ideal place for cozy winter breaks as well as your summer holiday. DISTANCES Within the village there are local taverns & coffee shops. 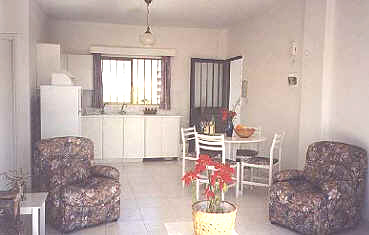 It is centrally situated within the Larnaca, Limassol, Nicosia triangle. About 30mins from beach by car. Extra Beds at EUR17.00 each per night. 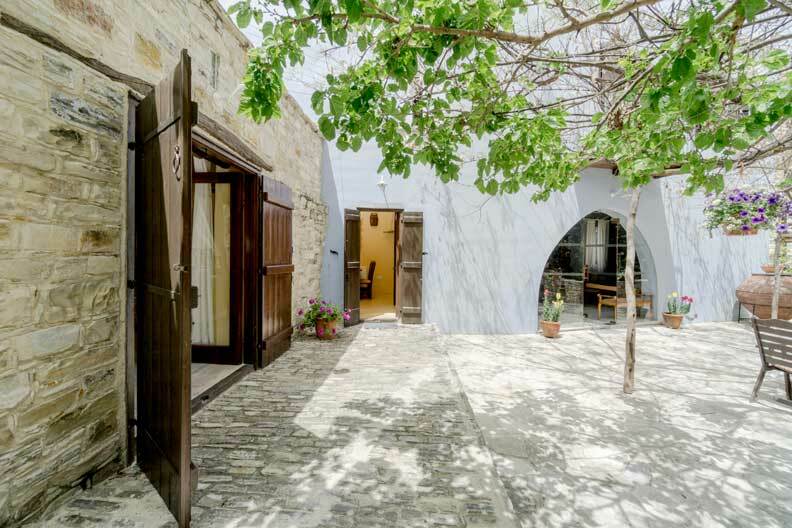 This house also hosts Wedding Receptions in the Traditional Cypriot Style - See details here and is ideal for photo shoots / filming for television, promotions, etc. 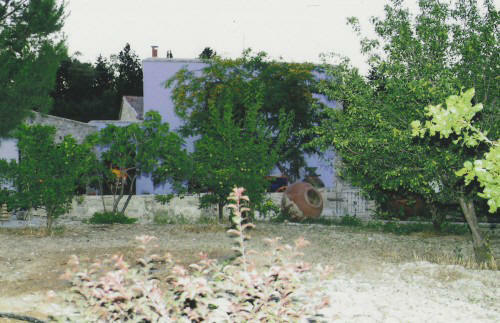 If you would like to be provided with firewood there is a charge of EUR9.00 per night. Cruise on a 2, 3 or 4+ day cruise to other Eastern Med places including Israel and The Greek Islands. Ferry service from the UK and Italy,4 and 5 day cruises to the Greek Islands.